So you have a opted for a summer wedding. The great thing about a summer wedding is you can bank on the weather (mostly) and you can make the most of the outdoor venues. 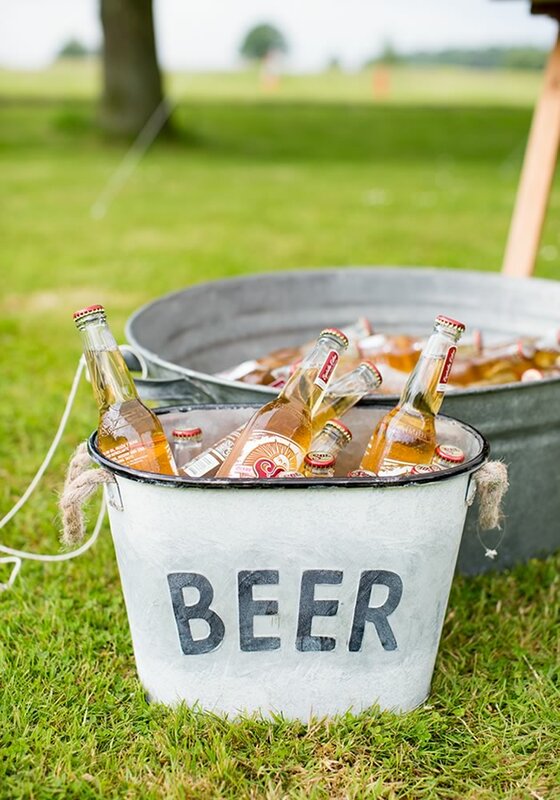 So, we thought we’d help with some inspiration with our summer wedding ideas below. 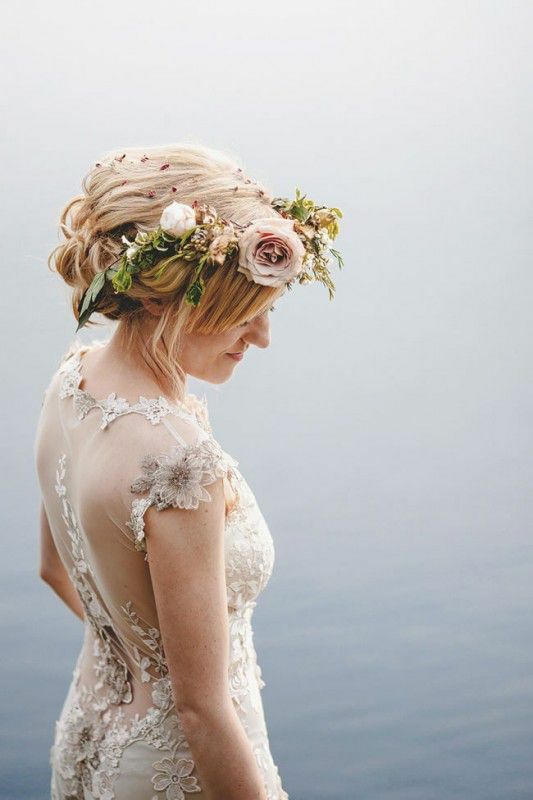 Here are 30 summer wedding ideas to make yours a sizzling show-stopper, whatever the weather. You can do all of this (and much, much more) with a summer wedding. One of the trendiest tipples around this year, gather several types of gin to serve in a variety of cocktails… the quirkier, the better! Gin goes really well with fruit. If you like the sound of this, you’ll love these 14 super stylish drinks bar ideas, too. From croquet and giant jenga to space hoppers and sack races, how wild will your garden games be? Here are six quirky garden game ideas to get you started. Perfect for a rustic wedding venue that has gardens or grounds, create a simple seating area to chill out in – some hay bales with blankets and Pimm’s on offer is sure to attract guests. If you like this style, then you’ll love Laura & Fraser’s field wedding. Not limited to just Kilner dispensers, we think it’s time to make his-and-hers cocktails the star of the show. 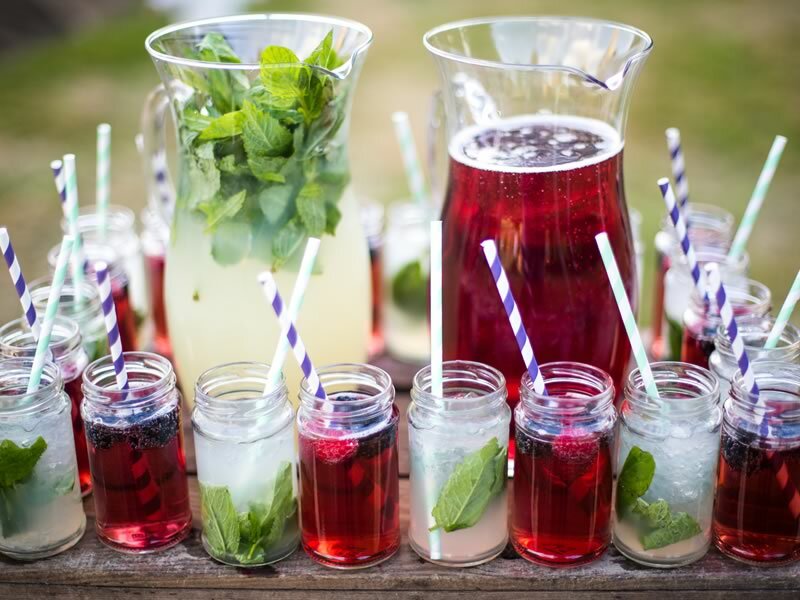 Add a selection of fresh fruit garnishes, edible flower petal ice cubes and colourfully striped straws to turn these drinks into a centrepiece. Channel the style of a country fair by stringing up pompoms, paper honeycombs and handmade bunting (a triangle per guest, perhaps?) to give your décor height. This style of feasting isn’t only for sweets! Hire food and drink stalls instead of traditional caterers so guests can mingle while they munch, avoiding a heavy sit-down meal. Team it with a vintage bathtub of ice and your guests will have a self-service bar to get stuck into! Make sure your photographer snaps some photos before they disappear. Make ice creams both delicious and decorative at your summer wedding by hiring a vintage ice cream bicycle cart. Create a festival vibe by choosing a live band in place of a DJ for the evening entertainment. You could also swap a string quartet for an acoustic guitarist to create a laid-back ambiance for the ceremony. You’ll find more ideas in this A-Z of wedding entertainment. Form an illuminated trail between different parts of your venue by hanging up festoon lighting. Hailed as a crowd-pleasing option that’s full of flavour, swap the traditional wedding breakfast for a hog roast or barbecue. Complete the culinary line-up with salads, cheeses and chutneys, and you’re guaranteed full stomachs and very happy guests. Prepare a basket of flip flops, sunglasses and sun cream and leave them in the wash rooms for guests to grab. You don’t want the risk of lobster skin in your group photos and they will love you for it! Your guests’ snaps will be ultra beautiful if you make a photobooth backdrop to frame them. As simple as a suspended picture frame or as elaborate as a vintage doorframe decorated in cascades of flowers, the choice is yours! Here’s how to DIY your photobooth on a budget. A favourite when it comes to wedding themes, summer is the perfect season for an English garden style wedding. 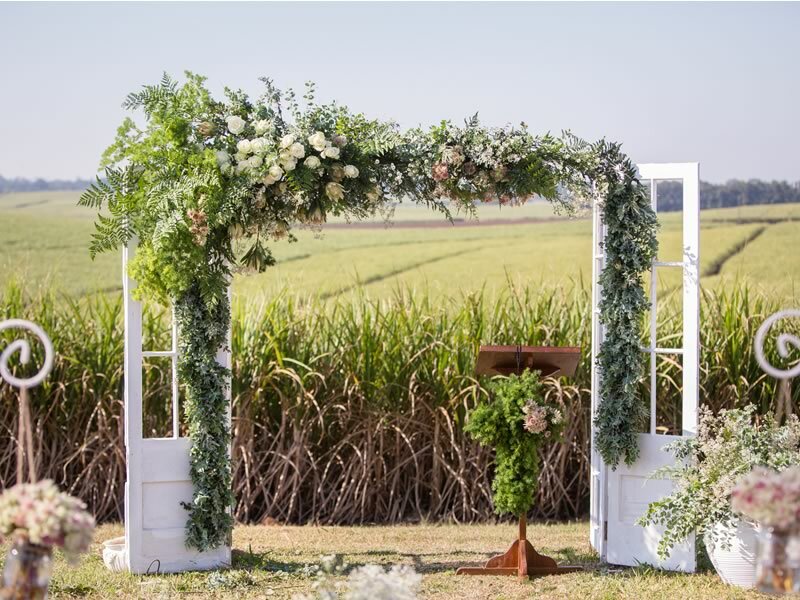 Choose a venue with pretty gardens of its own and you’ll have built-in décor to match! Inspired by Pippa Middleton’s impressive glass variety, channel the same style with transparent sided marquees or, on a smaller scale, by hiring in acrylic seating. 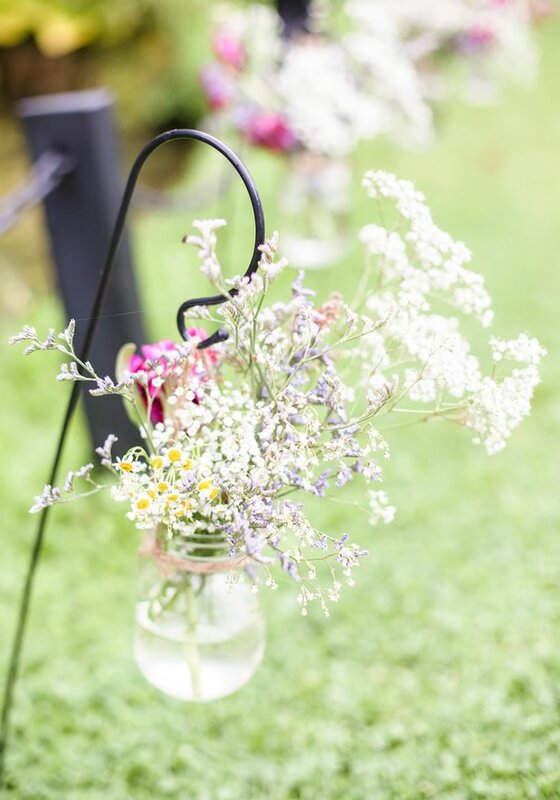 Enlist everyone you can to collect jars, then pretty them up with ribbons and sprigs of garden blooms. Pair them with milk churns or enamel jugs if you want to display taller sprays of flowers like delphiniums and stocks. Why wait for your honeymoon to enjoy the beach when the UK boasts a fantastic coast of its own? 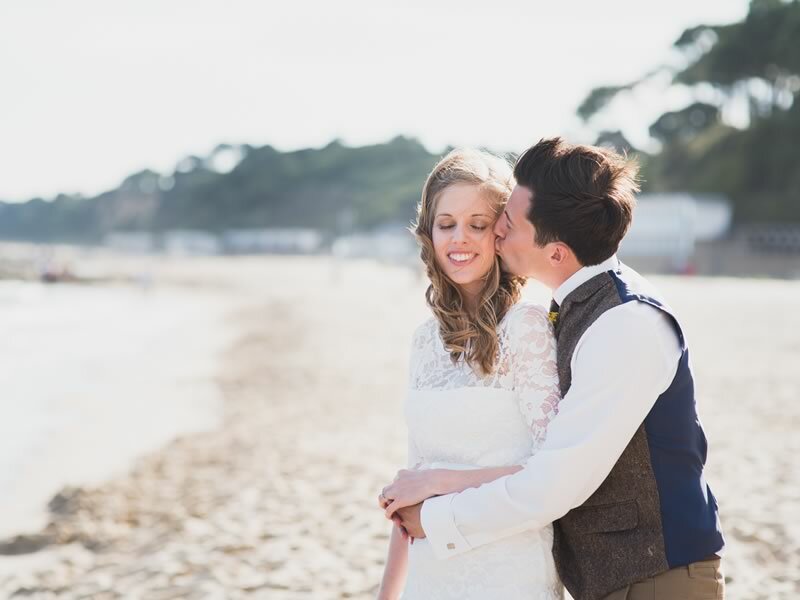 Marry right on the sand, or hire a village hall or even an old maritime museum for some more weatherproof options. Planning a beach wedding? Here are six stunning seaside photos you simply have to get! Give your wedding all the fun of the fair with fete-inspired games – everything from hook a duck to carousel rides! 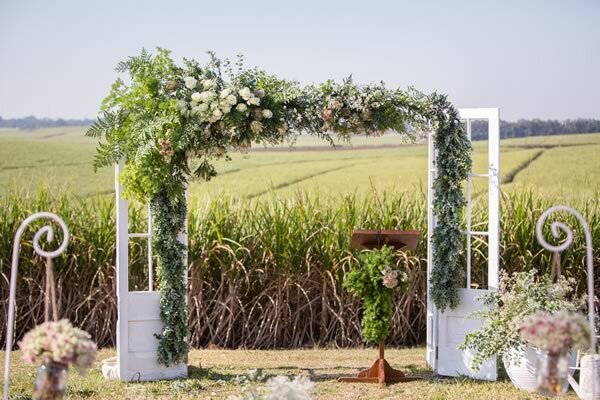 For a quirky twist, we’ve seen couples swap coconuts for pineapples for a more unique take on the classic coconut shy. Create a super-comfortable lounge area for your guests to kick back and relax in after the wedding breakfast. 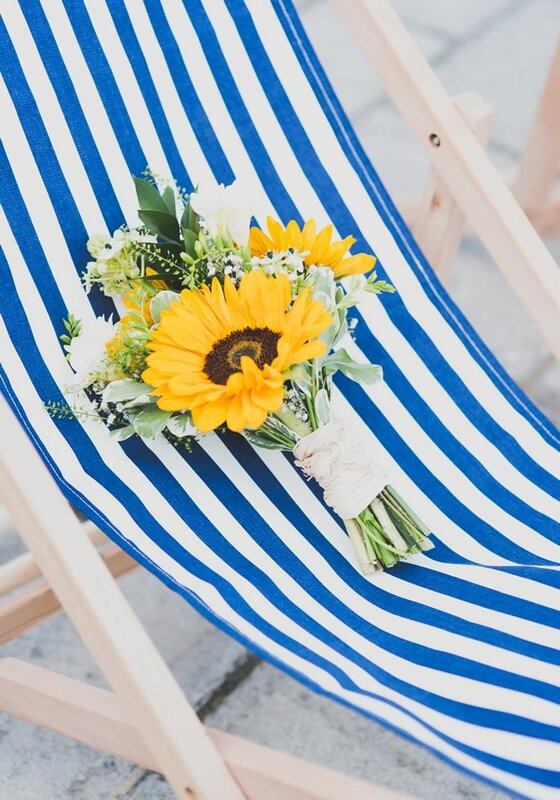 Fill it with a collection of colour co-ordinated striped deck chairs, perfectly placed to watch all the action. Seeing as you’ll be making the most of your chance to enjoy al fresco elements, why not put up some rustic signs to direct your guests so they know where’s best for dancing, drinking or dining? Here’s how to give your tipi venue bohemian style. 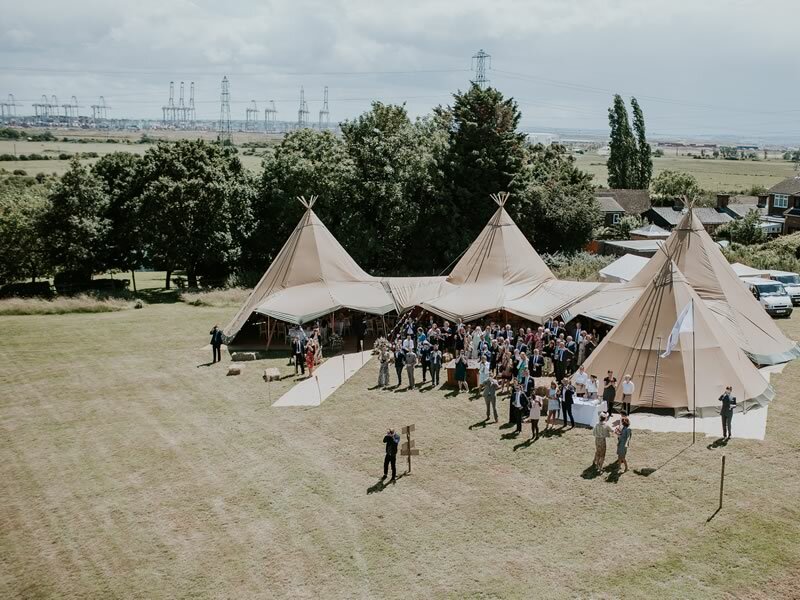 With sides that can be opened up to reveal the outside, tipi venues offer the best of both when it comes to indoor and outdoor wedding venues, making them perfect for the British summer! You’ll be crossing everything in the run-up for streaming sunshine on your wedding day – but have you planned for that actually happening? 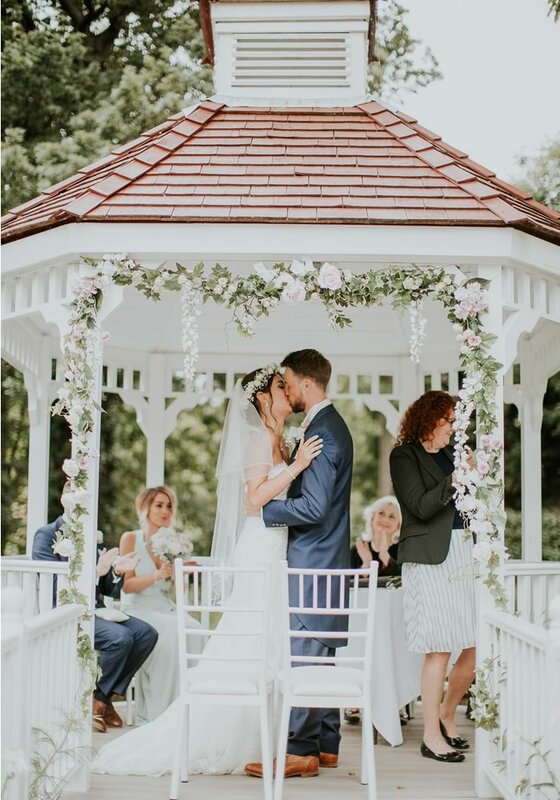 Make sure your venue has parasols ready to provide shade. 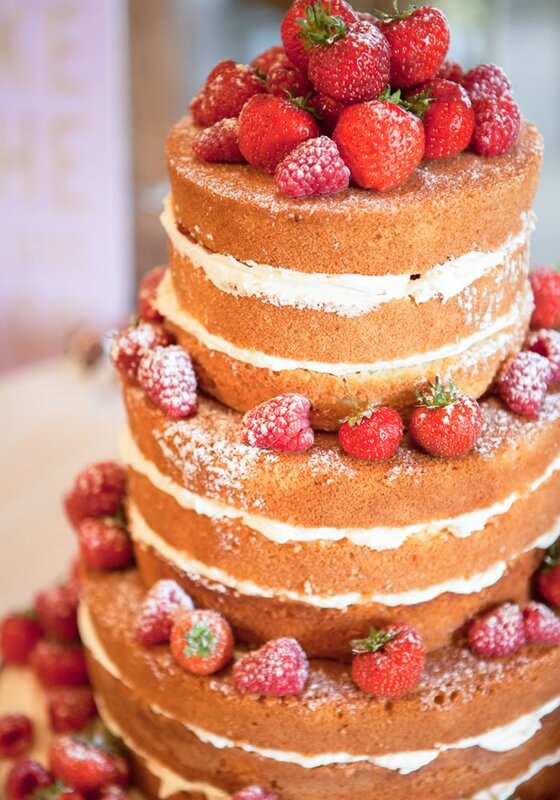 Overflowing with juicy berries and filled with light, fluffy buttercream, the naked cake is the ideal laid-back cake for the summer season. Just make sure you position it out of the sun to stop the buttercream from melting! These small, beautifully scented, summer-flowering blooms come in a range of hues, from pastels to brights. Work them into your bouquet for a whimsical style that smells divine. No country wedding should be without these! Peg the charming shepherd’s hooks into the ground to mark out pathways, then hang dainty jars containing mismatched candles or flowers from them for a pretty effect. 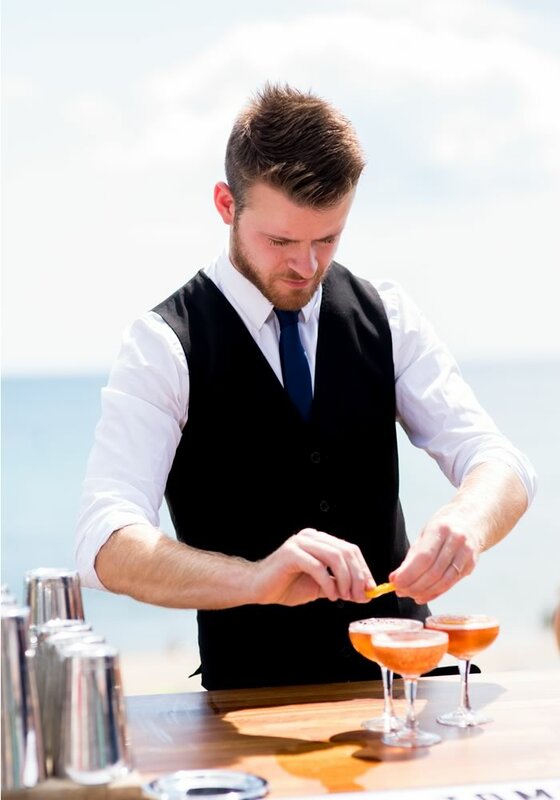 Embrace the relaxed, al fresco atmosphere of the best summer weddings in your set up. Look for opportunities to introduce tulle drapes, creating an airy feel for your venue, or tie lace bows to chair backs. 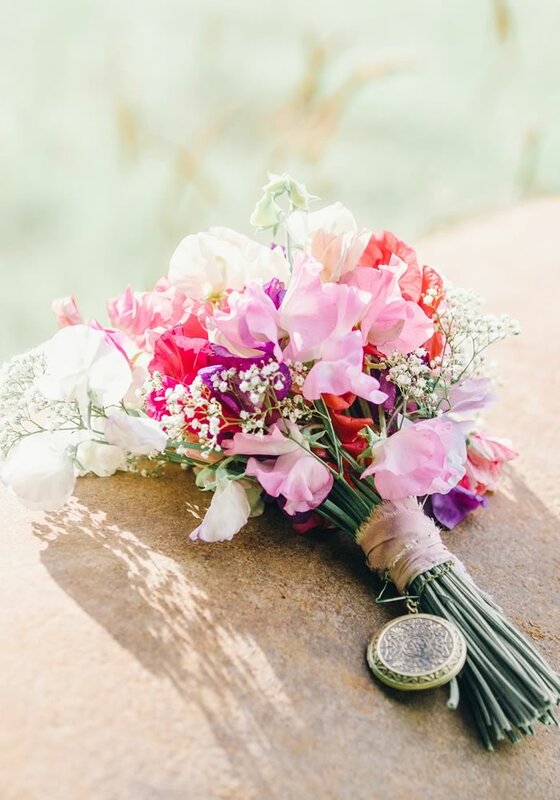 Or perhaps you could add streaming silk ribbons to your bouquet.